In south India, daily morning life starts with a steaming cup of filter coffee. Nothing can beat the aroma and taste of south Indian filter coffee served traditional style in a steel tumbler. India is the 7th largest coffee producer in the world and produces ~ 330 thousand metric tons of coffee. Bulk of coffee plantation in India exists in Chikmaglur and Coorg (Kodagu) area of Karnataka state. Do you know that Chikgmaglur in the birthplace of coffee in India? Origin of coffee in India dates back to 17th century and journey of coffee beans to India is a very interesting story. Baba Budan, a Sufi saint went on pilgrimage to holy Macca in Saudi Arabia. He tool return journey back home to Mysore from Yemen port city of Mocha, then a popular coffee trading hub. During his journey, Baba had a taste of coffee in the form of Qahwah (a dark sweet liquid). He found the drink very refreshing and smuggled seven coffee beans. 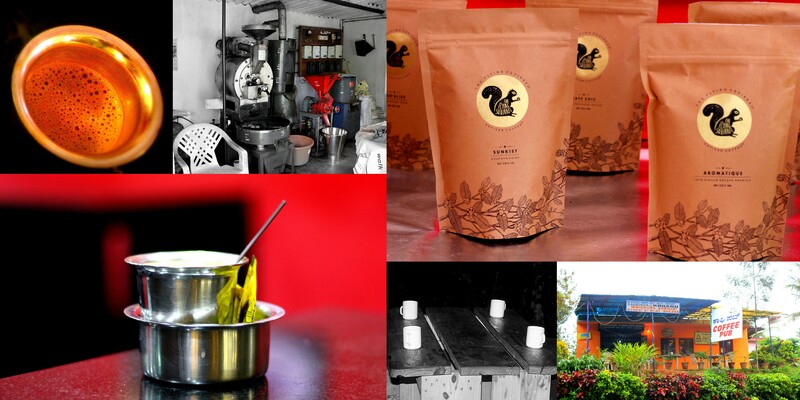 He planted the coffee beans in 1740 the hills of Chikmaglur, now knowns as Baba Budan hills. Coffee plantation continued to thrive on slow pace by the private owners in Baba Budan Hills and surrounding hills. Later in 19th century, during British Empire coffee plantation flourished further and spread across the hilly regions on the Western Ghats of South Indian states of Karnataka, Kerala and Tamilnadu where climatic condition is apt for growing coffee. Chikmagluru, the coffee county is ~ 250 KM drive from Bangalore and is a perfect weekend getaway. Situated at 3000 feet above see level, chikmaglurur has pleasent weather thoughtout the year. There are many coffee & spice plantations, coffee estates and Home statys in 60 KM radius. Temples, coffee estate trails, water falls, coffee plantation walk, heritage bunglows – there are many activities to do. Taking a walk in the coffee plantations and siping of freshly brewed hot filter coffee are very unique experience that will really mesmerize you.